A few weeks ago, we were shocked to hear that a man survived for five days stranded in the snow by eating nothing but Taco Bell hot sauce packets (resulting in his getting Taco Bell free for a year). This started us on the path to thinking that Taco Bell hot sauce was magical. And now, in light of another hot-sauce life-saving measure, we think we may be on to something. In—happy Monday, everyone—Florida, a man was sitting down at a Taco Bell in Winter Haven when he decided to get up from his seat to procure more hot sauce. 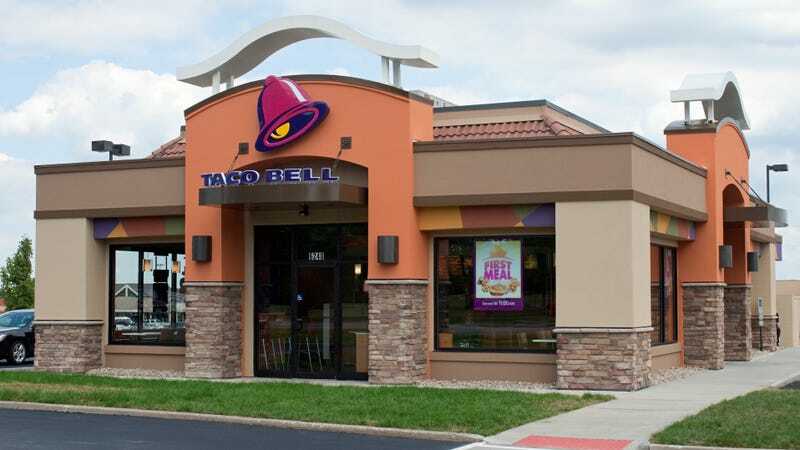 Mere seconds later, an elderly man crashed through the front of that Taco Bell with his car, hitting the table where the hot-sauce-retrieving customer had been sitting just moments before. WTSP in Tampa reports: “Police said a customer who was in the restaurant where the car crashed into the building had just left that area to get hot sauce.” The driver of the SUV was a 77-year-old man who thought the vehicle was in reverse, when he hit the accelerator and was in drive instead. Although the building has significant damage, police say that no one was hurt, and we all know who (or what) to thank for that, don’t we?